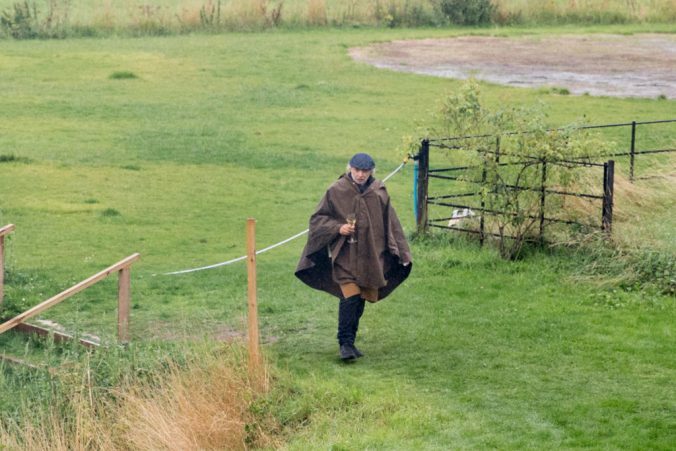 Oh, the contrasts. 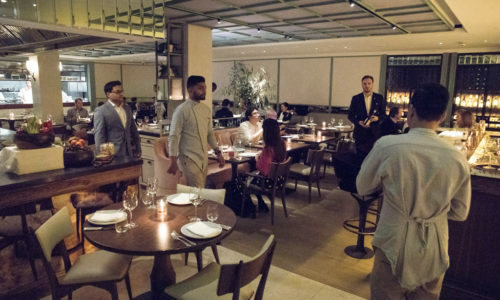 Life wouldn’t be the same without them. 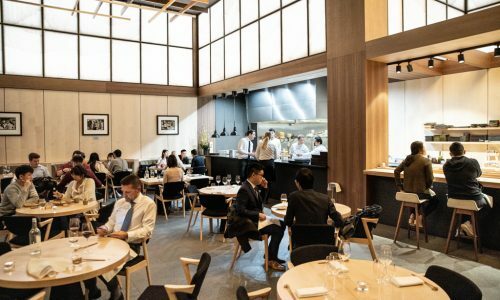 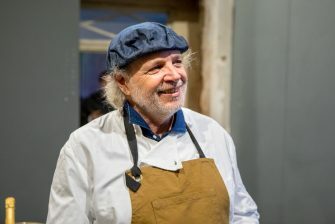 Take Krug and Francis Mallmann: the former is one of the most respectable champagne houses, and a symbol of luxury; the latter is an Argentinian chef, famous for adopting primordial outdoor cooking techniques. 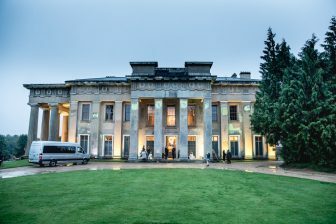 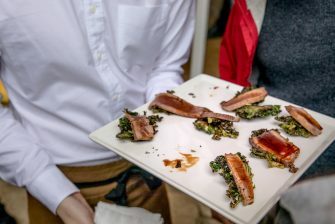 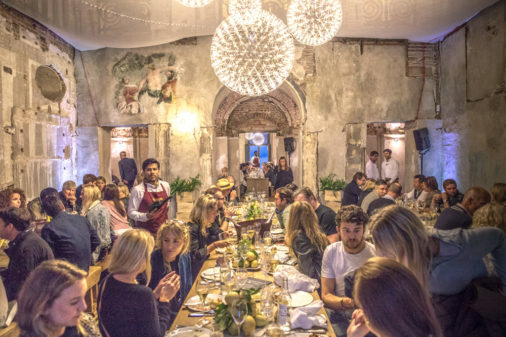 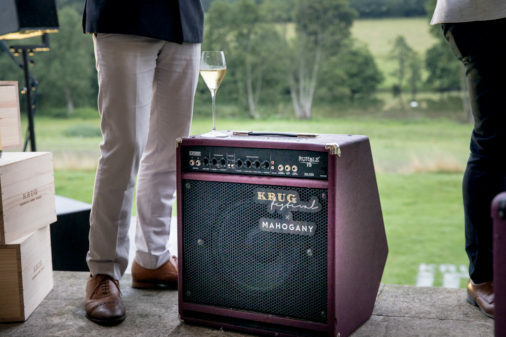 Last Saturday the two met at the Grange, a 19th-century mansion in the Hampshire countryside, and the lucky guests in attendance enjoyed a rare taste of the iconic sparkling wine, the Patagonian-style food and a line-up of British singers put together by Mahogany. 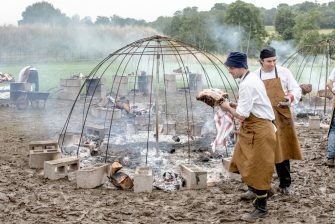 The action began in the early hours: at 4am the team of cooks (mostly from South America) dug the nearly two-metre-deep hole – “pit oven” – that would be filled with hot stones, tree branches and covered with a blanket. 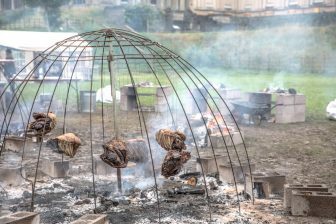 Mallmann used it to prepare a curanto of vegetables (traditionally it would be a mix of seafood and meat too), which cooked for over ten hours buried in the ground, reaching a state of unique taste and texture. 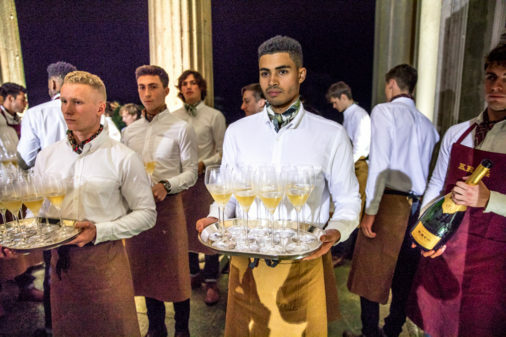 I’ve been to a few events where waiters would top up my champagne glass, without me even noticing, but that concept was taken to a whole new level here: from 5pm until midnight an army of models and actors relentlessly poured chilled Krug (163th edition in magnum size) into the guests’ glasses. 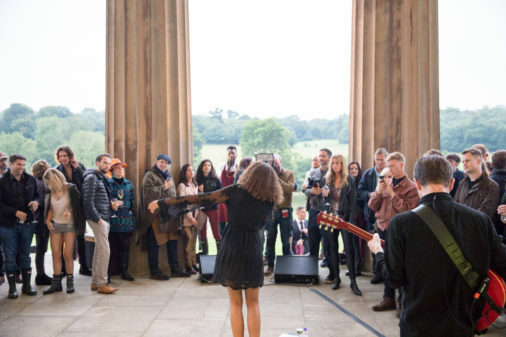 Ady Suleiman, hailing from Nottingham, was the first of three artists to perform, his soul touch an exquisite pairing for the champagne and the canapés. 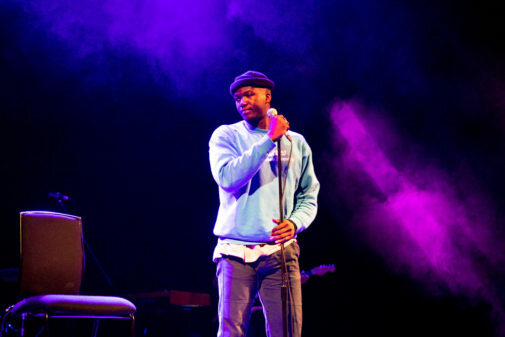 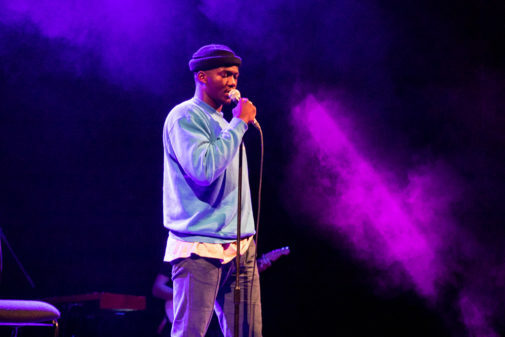 The highlight of his eight-song set was the latest single Lean on Me, a beautiful acoustic ballad. 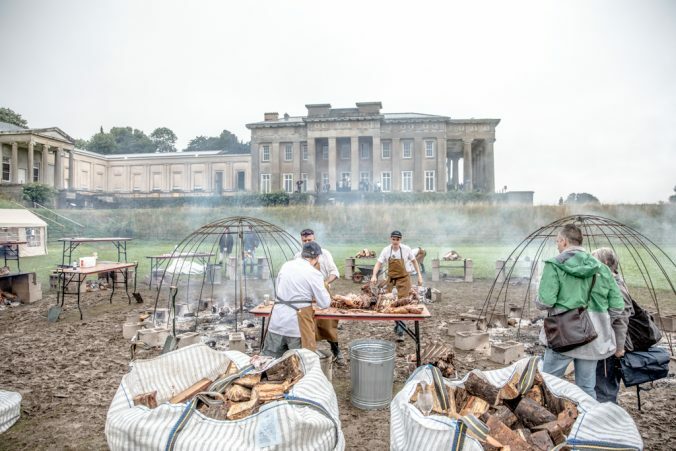 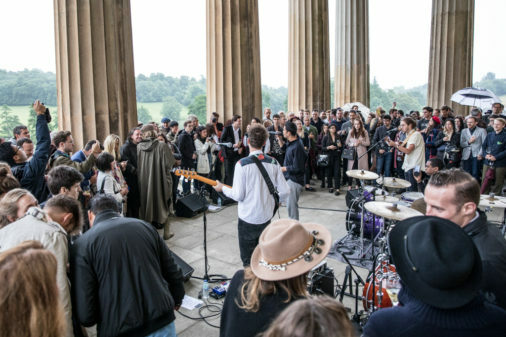 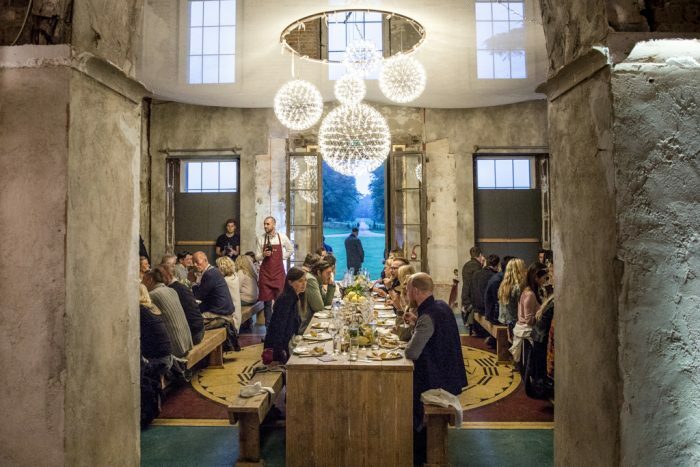 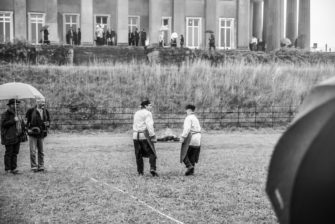 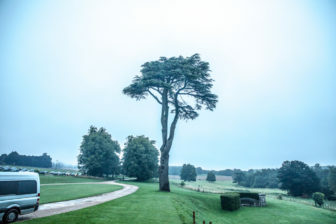 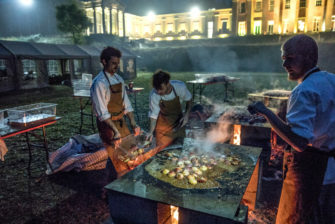 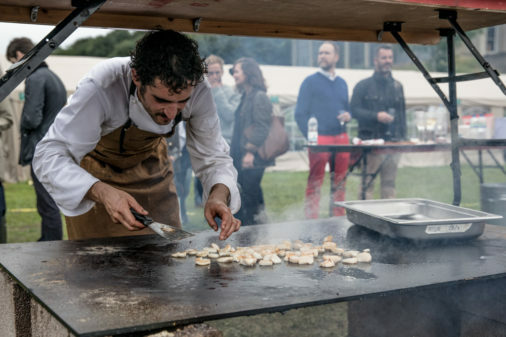 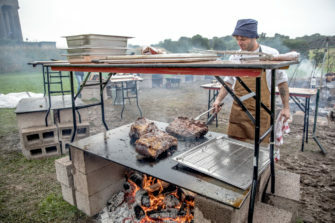 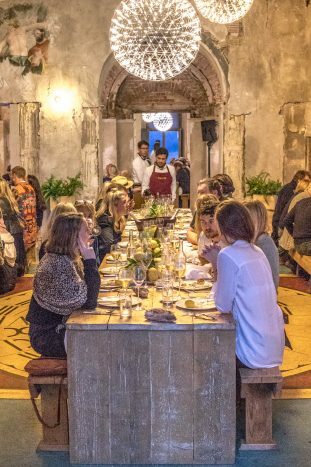 The Grange was the most beautiful setting for this exclusive festival: as the music was playing, guests could walk around the building – with bottles and finger food always available – and down the field to witness the outdoor cooking first-hand. 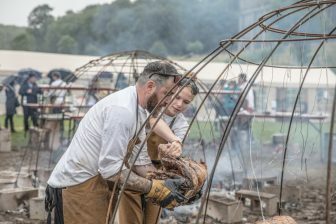 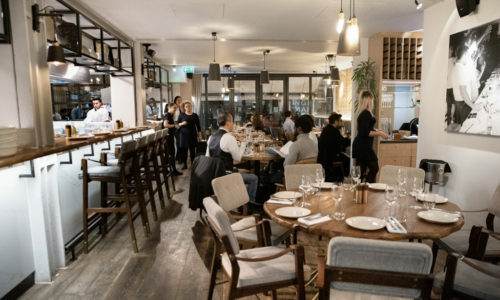 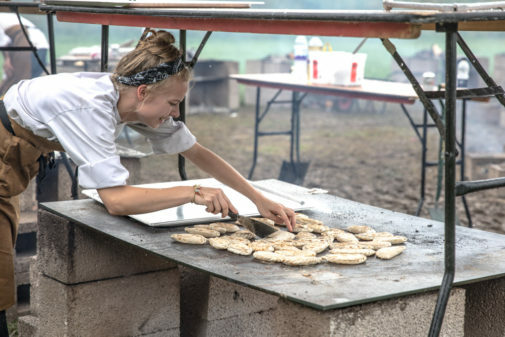 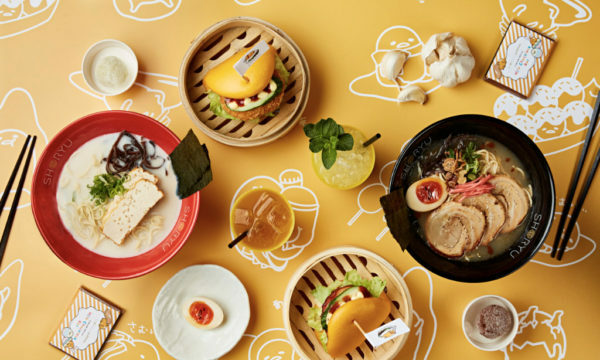 The cooks would happily let you taste the meat hanging over the pit fire; the scallops from a large heated flat metal surface; and the pastries filled with sweet corn. 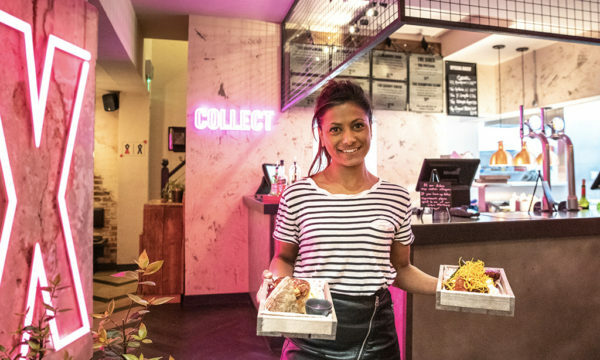 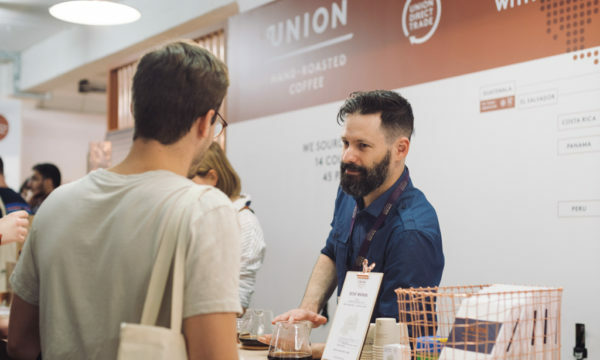 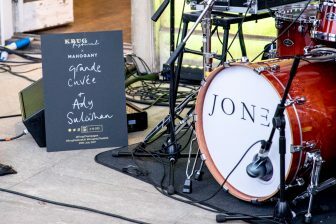 The evening’s sophistication peaked with the performance of Jones, her voice the perfect match for the vibe of the festival and the quality of produce. 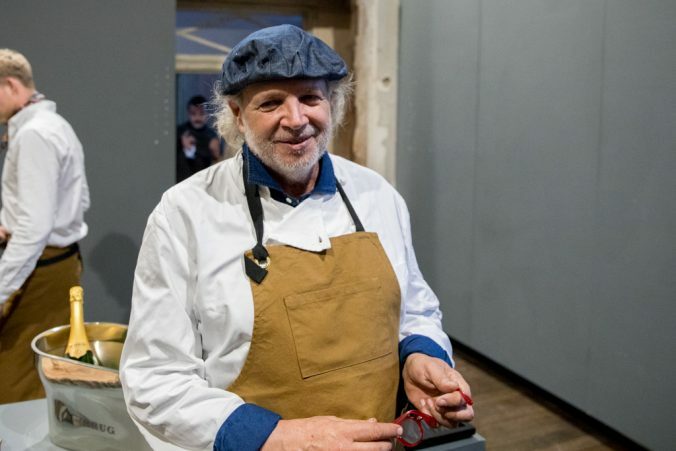 Unsurprisingly, chef Mallmann listened to the entire set. 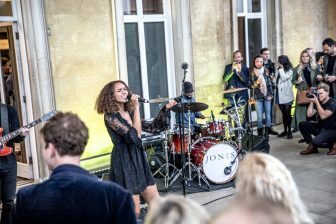 She closed with the mesmerising Handful of Gold and all of a sudden her mellow and elegant singing made us remember her brilliant duet with Tom Chaplin at the Palladium last May. 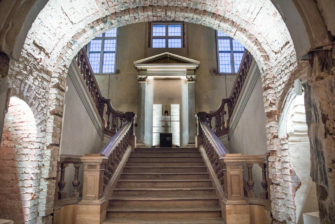 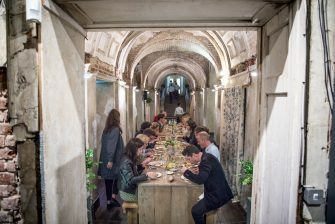 The dinner took place in the charming, decadent rooms of the palace. 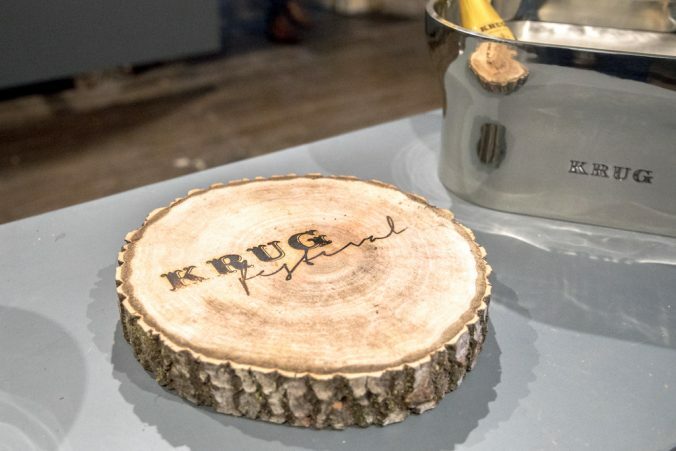 On every table there was a slate with the id of the two bottles we would have during the meal: Krug 2002 (#415064) and Krug Rosé Magnum (#314060). 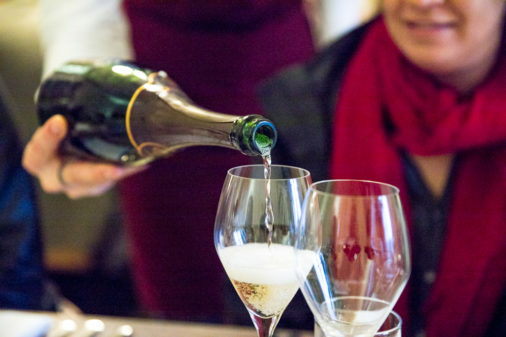 2002 is considered one of the best champagne vintages of all time, and the bottle showed it shamelessly: the creaminess of the chardonnay makes the nutty and smoky depth of the pinot noir incredibly pleasant maintaining a unique balance. 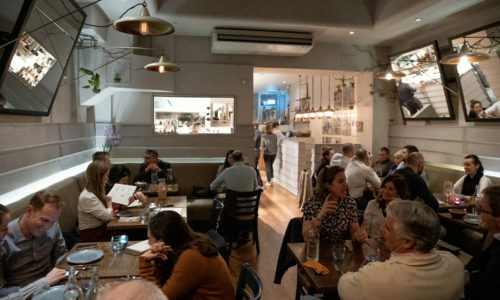 It’s full of character but its exuberance is sober. 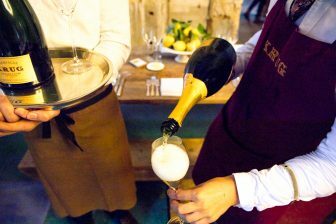 The fruity notes and the minerality share respectfully their roles with no attempts to overshadow each other. 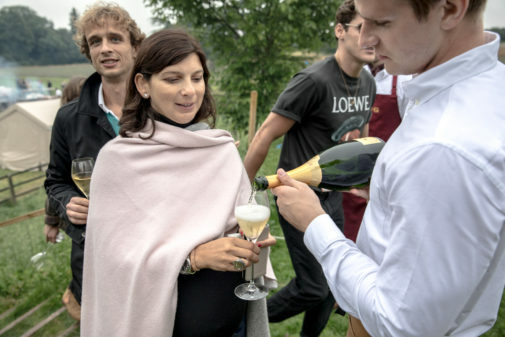 Hands down one of the best champagnes I’ve ever had. 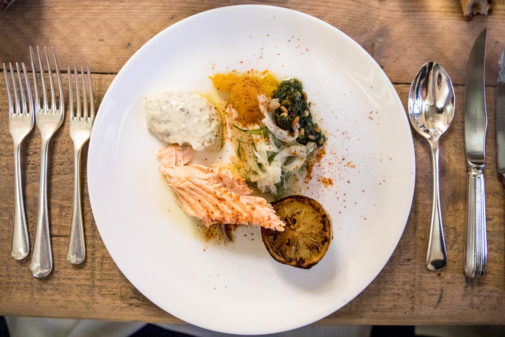 Krug 2002 was paired with a salmon dish where the smokiness of the pit cooking enriched the savour of the slow-cooked fish. 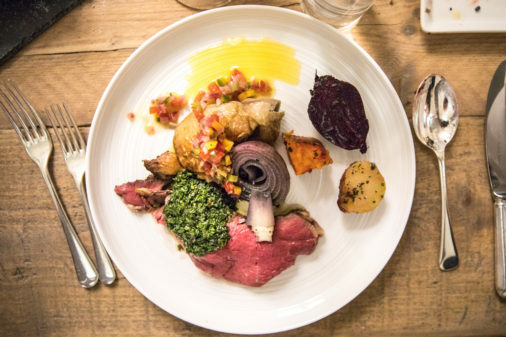 If the wine stole the show for the starter, the food did it for the main. 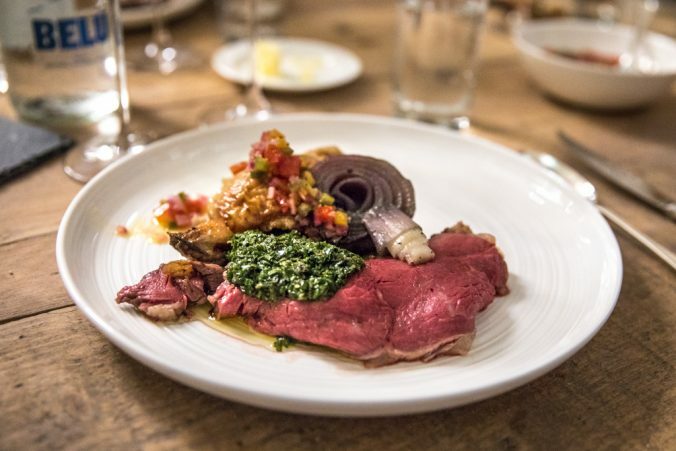 Served with a non-vintage magnum rosé, the rib eye and chicken course came with some of the most intense vegetables you could possibly imagine. Over ten hours of cooking in the ground – covered – made them as smoky as they can get within the sphere of enjoyment. 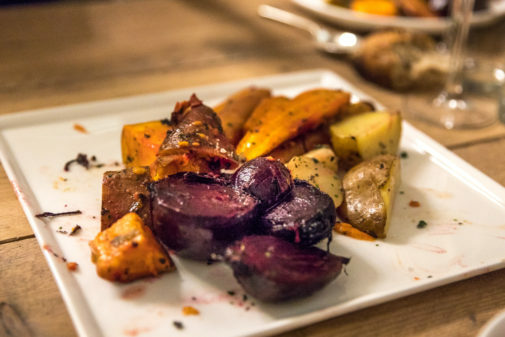 The vegetables maintained their own texture but their flavours shuffled and combined: the beetroot tasted of carrots, the carrots of sweet potatoes – without losing their identity. 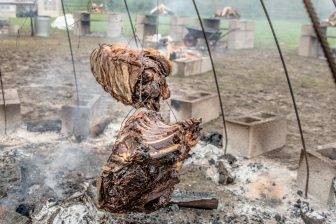 This evening also saw a first for a dining environment: the chicken meat was more interesting than the beef (smaller in size, it took more smokiness whilst hanging over the pit fire). 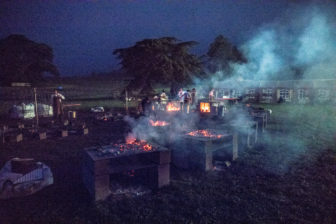 We took a little break and walked to the cooking area in the field. 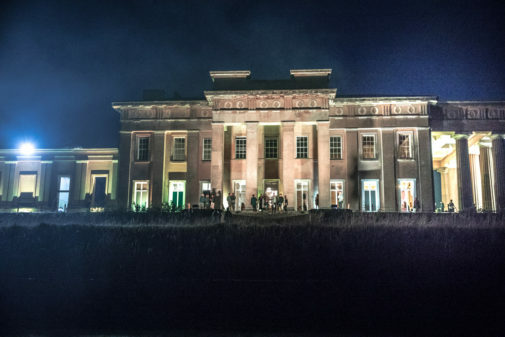 It was pitch black, the fire the only source of light. 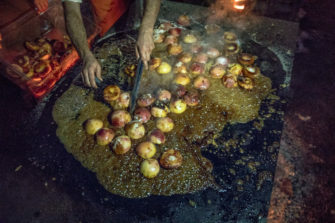 The cooks were preparing plums and peaches over the hot metal surface. 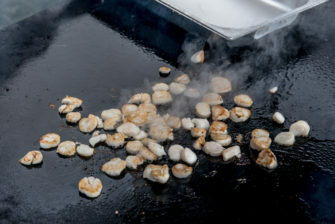 The smell was amazing, and the sound of the juices leaving the heart of the fruit and melting with butter a symphony. 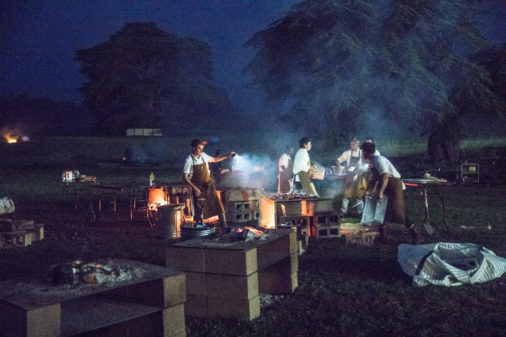 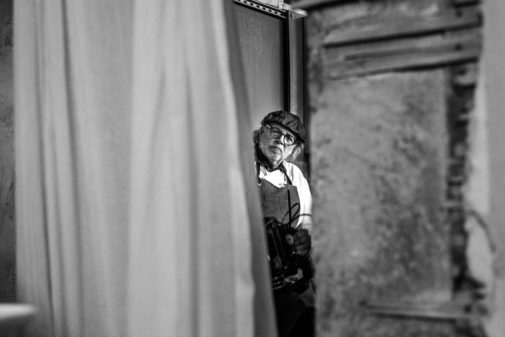 Chef Mallmann appeared from the darkness, checking on his loyal brigade. 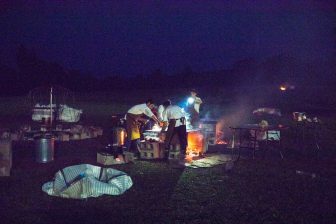 One of the cooks used his phone to shed some light. 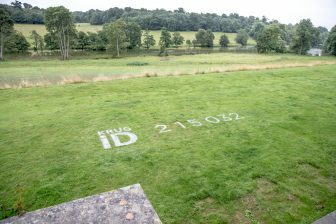 It couldn’t be more fascinating, with the Grange looking majestic as the backdrop. 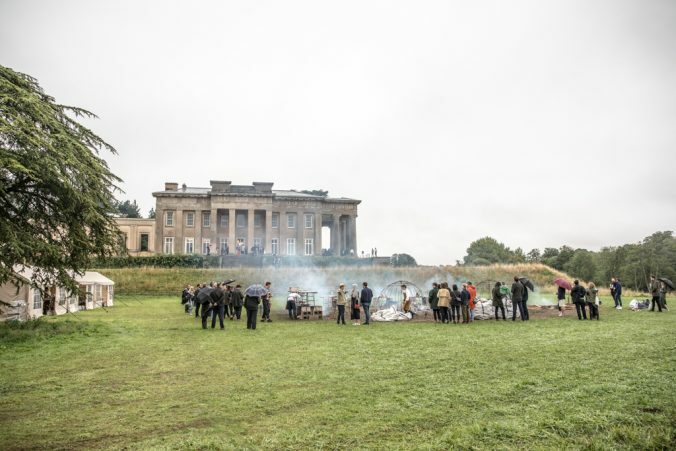 Another two guests came from the palace to check out the fires; Mallmann began to take care of the burning wood and ashes in the ovens. 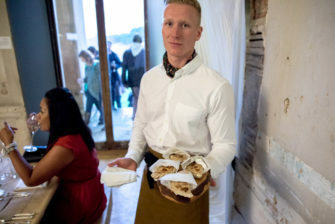 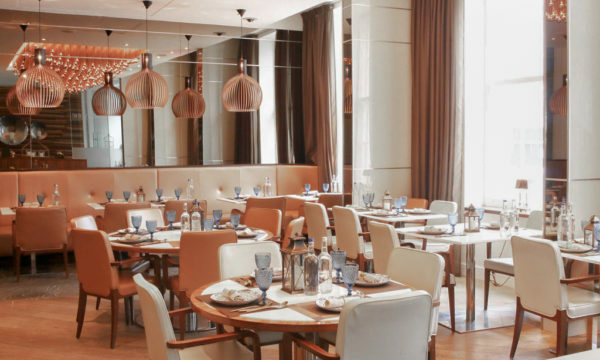 We had a brief chat about the dessert, whereas the other couple asked about his upcoming London restaurant, which he hopes to open by the end of next year (permits aren’t easy to get for what he wants to do). 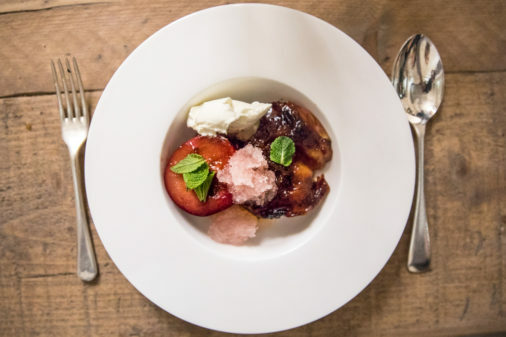 The plum and peach dessert was absolutely spectacular. 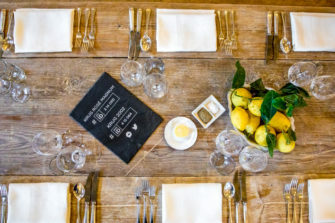 Finished with a drop of Amaretto di Saronno, each fruit was tender, sweet and smoky. 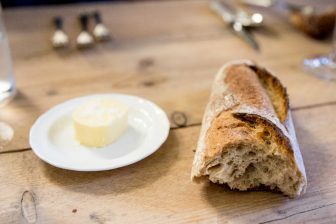 A little granita on top gave it a fresh touch. 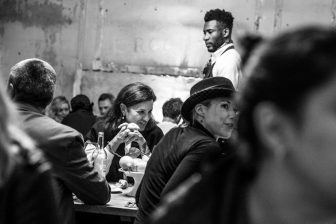 A chef was sitting in front of me and she was speechless. 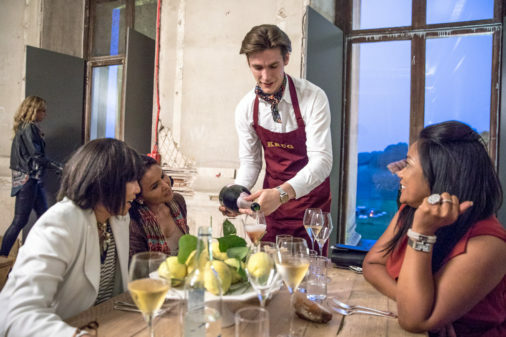 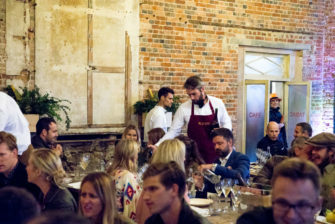 The charming Krug representative put an end to the dinner with a talk before revealing that the third and final act – Jacob Banks – would perform in the theatre next door (the Grange hosts an annual summer opera festival). 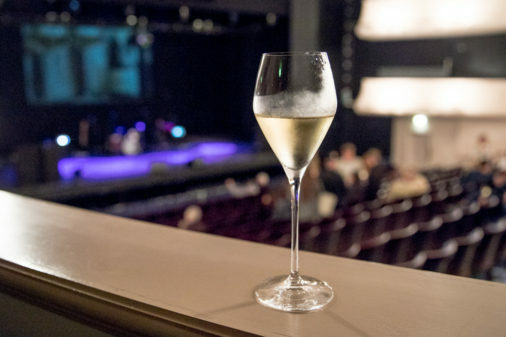 His concert would be “paired” with a glass of Krug Grand Cuvée (160th edition) in Jeroboam size (double magnum). 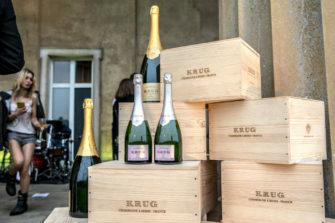 The second edition of the Krug Festival (it made its debut last year on the Osea Island in Essex) was an unforgettable experience. 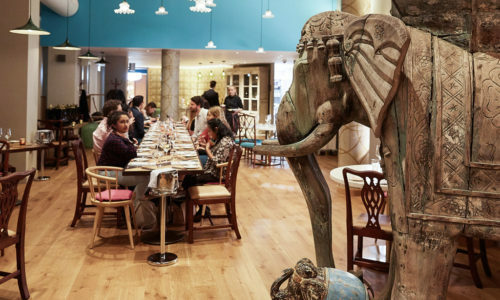 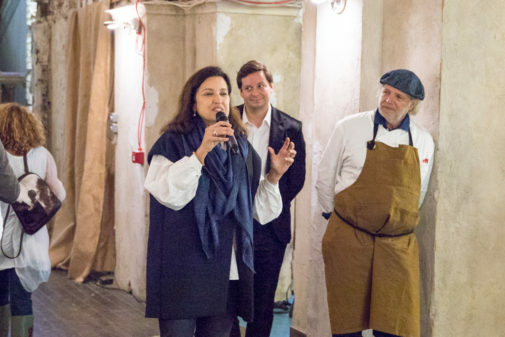 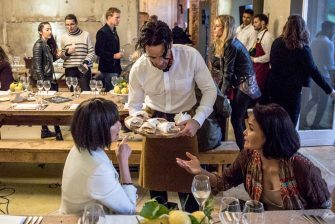 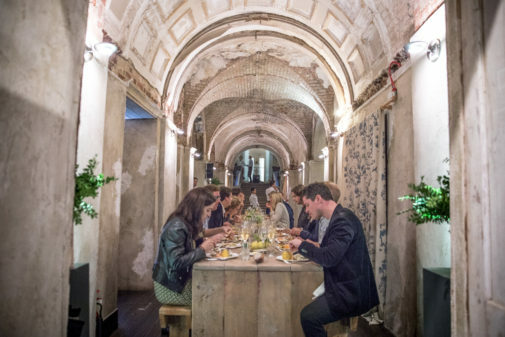 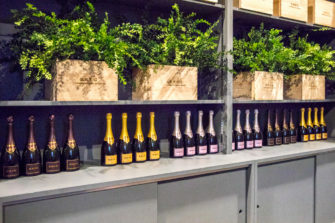 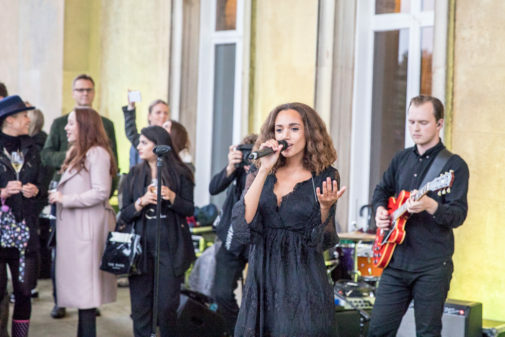 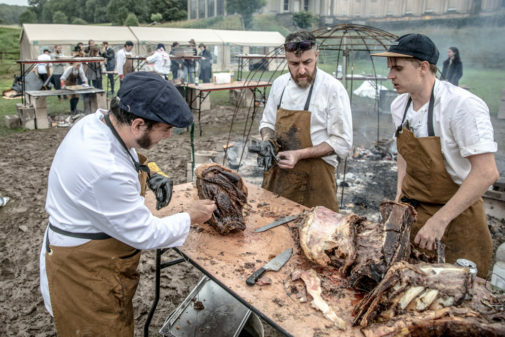 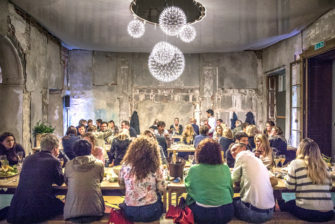 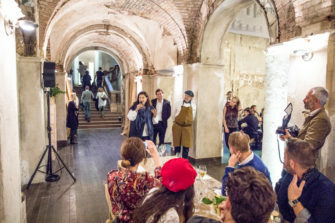 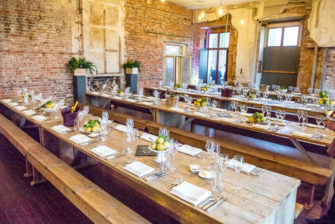 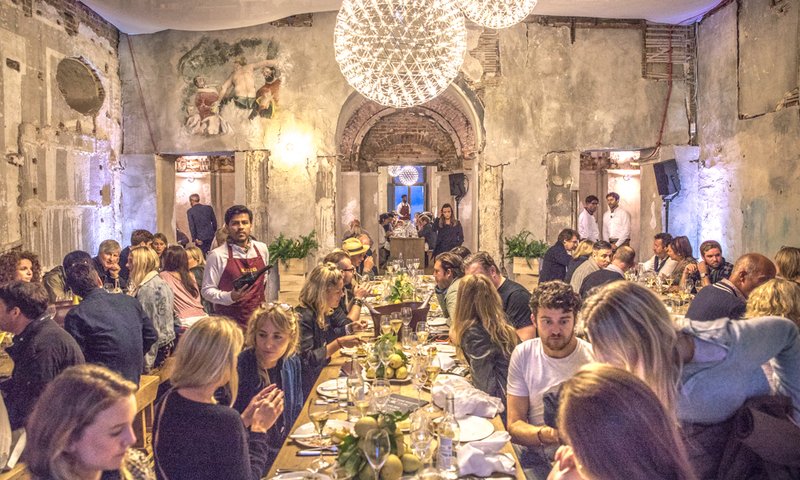 The French maison de champagne – with the help of chef Francis Mallmann and Mahogany Sessions – showed how the wine, food and music combination can reach a whole new level. 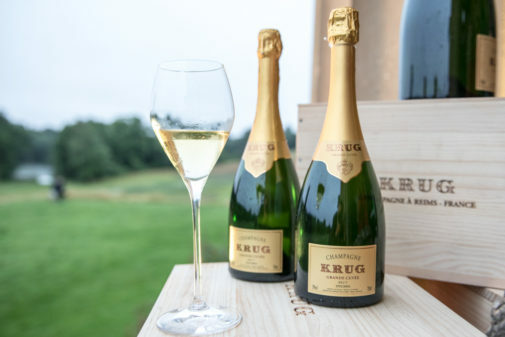 For further information and future events visit the Krug Festival website here.